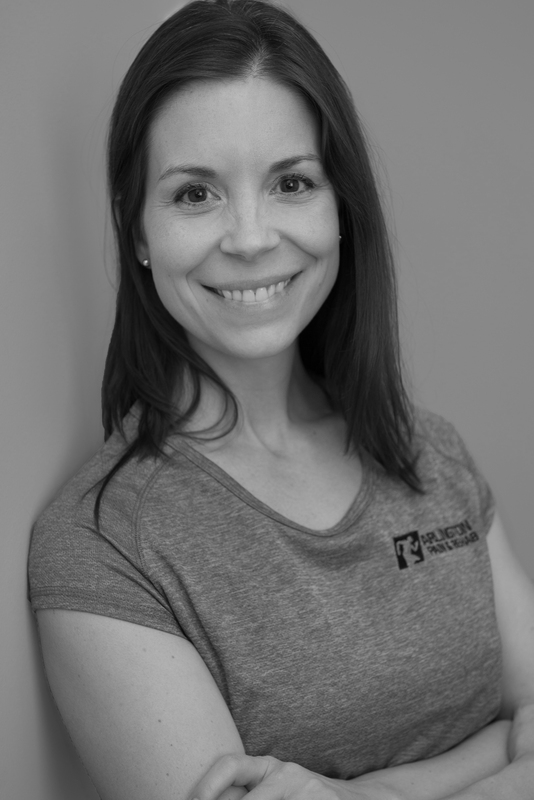 Stacy is a doctor of physical therapy who specializes in orthopedic rehabilitation and movement assessment. She received her doctorate in physical therapy (DPT) from Marymount University in Arlington, Virginia after working as a licensed physical therapist assistant (PTA) since 2003. Stacy additionally holds a bachelor’s degree in Exercise Science, complimenting a strong background in anatomy, physiology, and kinesiology. Stacy is well versed in orthopedic physical therapy practice and treats a variety of conditions including spinal pain, shoulder and knee injuries, headaches, post-surgical rehabilitation, and foot and ankle injuries. Treatments are tailored to the individual with a focus on manual therapy, neuromuscular re-education, and therapeutic exercise. Her personal treatment philosophy is based on patient empowerment and education in order to decrease pain, improve function, and optimize wellness and quality of life. Stacy provides physical therapy services to our patients at the Clarendon office.